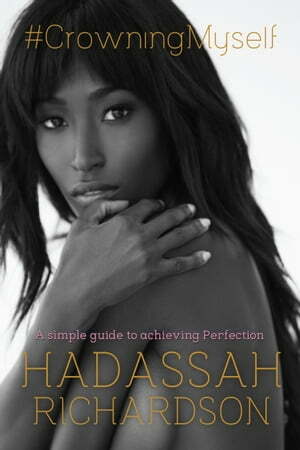 Collins Booksellers - #crowningmyself by Hadassah Richardson, 9781483561004. Buy this book online. This book is a step by step guide to help young women and people learn to develop the right type of confidence, self-esteem, resilience, thick skin, and attitude to get through anything, but mostly surviving the modeling and fashion world. I truly want to help my readers understand the unlocked secret to success at any and everything, you've read a lot of self-esteem and confidence building books but none like this, this book will serve it to you just like it without sugar coating anything, Some things may sound crazy but if you follow these simple steps this book will change your life and perspective... You must not only understand that you are in full control of everything in your life but how to take full control in your life. Some say perfect is boring, some say perfect is unachievable, in this book you will learn exactly what it takes to achieve perfection and how easily achievable it actually is. Enough of letting life control you, it's time to take full control over your life and take what you want. Learn how to deal with people who discourage and criticize, stop waiting to be crowned and crown yourself.